The “3 Amigos”! KANSAS CITY video shoot at the Oklahoma History Museum. Michelle, Kelly and Kim at Java39. Shades of Gray is a musical trio or a 4 piece band of acoustic and electric instruments including guitar, mandolin and bass, drums as needed. We play cover songs of an eclectic mix of folk, soft rock, country and blues as well as our own originals! We play all sorts of venues! Like us on Facebook and check out and subscribe to our YouTube page! This hot band has the music for all to enjoy. They also are some of the best people you will ever meet. The have a group of followers known as The Gray Heads. Go and check them out. You won’t be sorry! Thank you Dianne for the kind words! We thoroughly enjoyed playing at your family fish fry! Great venue, food and people! 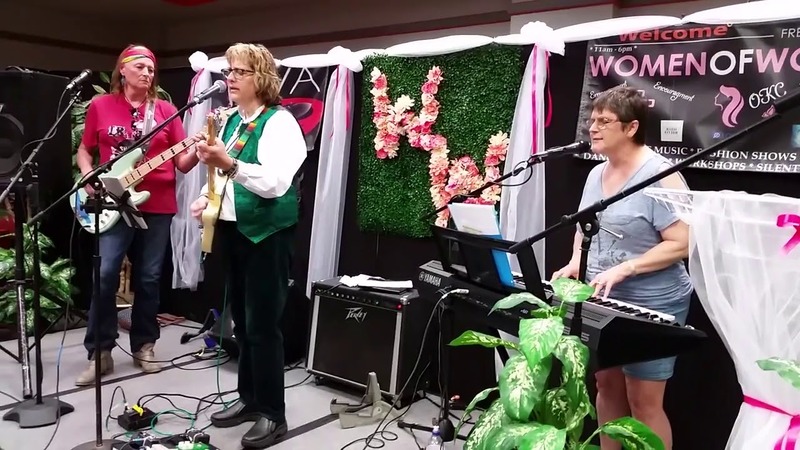 SHADES OF GRAY played at Enid Pride 2017. They played a great variety of music that reached every age group in attendance. They were prompt in arrival and set up and very professional. I would highly recommend them. Thank you you JoNita and the Enid Pride for having us play for your wonderful venue! 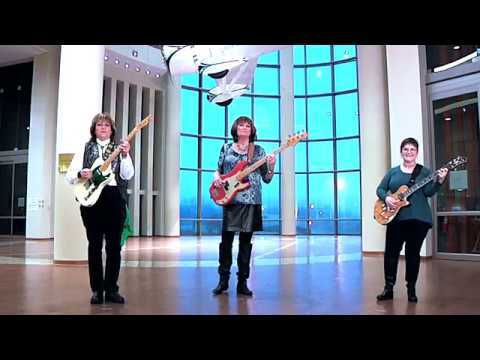 SHADES OF GRAY is a musical group of mature women who can offer a full band sound or an acoustic style music platform with a sweet blend of vocal harmonies. We can be interactive with the audience with the style of music that makes the audience feel comfortable and want to sing along to the memories of the tunes from their past. Most of our music is from the 60’s and 70’s with a mix of our originals that are tastefully performed. We are a fun group! 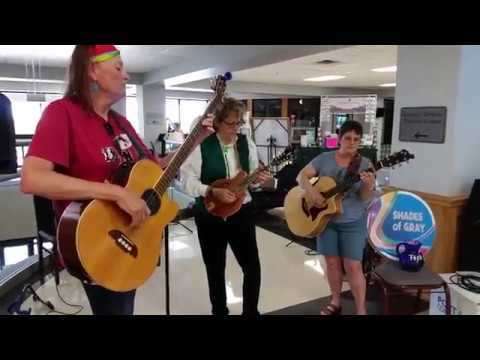 Shades of Gray is a musical trio of mature women with a sweet blend of vocal harmonies who play acoustic and electric instruments including guitar, mandolin and bass, or a 4 piece if drums are needed. We play cover songs of an eclectic mix of folk, soft rock, country and blues as well as OUR own originals! We play all sorts of venues including weddings, outdoor and indoor events, with drums or a more intimate setting as a trio. Kim sings lead and harmonies, plays electric or acoustic rhythm guitar, keyboard/synthesizer, keyboard drums and melodica. Michelle sings lead and harmonies and plays five string, four string or fretless bass. Kelly sings lead and harmonies, plays electric or acoustic rhythm and lead guitar as well as a mandolin. When we play an event that requires drums, Cal plays an acoustic or electric kit with great rhythm and finesse! SHADES OF GRAY can play as a fully electric 4 piece, a 3 piece using keyboard drums, or an acoustic trio. We’ve been playing together for several years and are great friends! 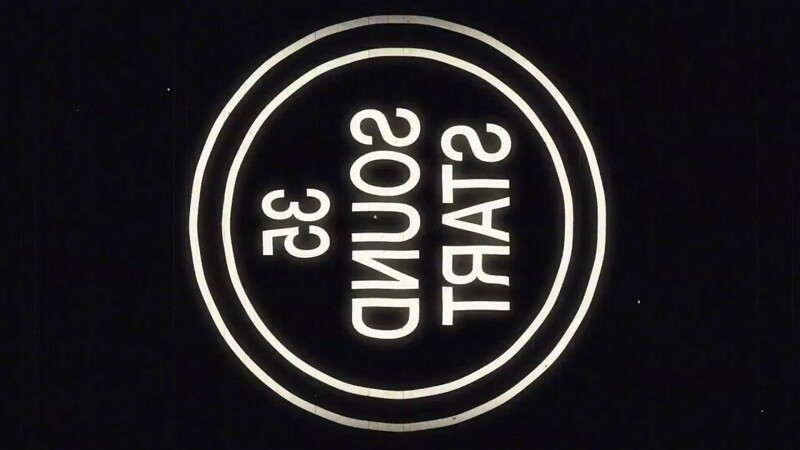 SHADES OF GRAY is self sufficient including quality equipment for sound and mixing. We also can plug into any venues sound system. (Plug & Play). Bonnie Raitt, Emmy Lou Harris, America, Creedence Clearwater Revival, John Fogerty, Tom Petty and the Heartbreakers, The Eagles, Joe Walsh, Linda Rhonstadt, George Jones, Nitty Gritty Dirt Band, Pure Prairie League, John Prine, Merl Haggard, Dolly Parton, Eric Clapton, Hank Williams, The Byrd’s, Sister Rosetta Thorpe, Eric Clapton, Hank Williams, Johnny Cash....and the list goes on and morphs once in a while! We style ourselves like the Easy listening rock and folk bands of the 60’s and 70’s with vocal harmonies. For our equipment and stage performance we need at least 12’X16’ minimum area. Platform stage preferably 18’X9’ ideally with 12”—24” rise.